Craftsy's mini-courses have the same great content that we all have come to expect from Craftsy.com but feature student-led discussions and are much shorter in length than the regular courses. They're a perfect way to learn new skills and experience the Craftsy platform first-hand! I'm super excited about the mini-courses and have big plans on what I'm taking next! One of the mini-courses at Craftsy is called Sewing Machine 911. I recently got a sewing machine but since I haven't use one in many years... I could use a refresher course. In this course I am hoping to learn how to clean and maintain my sewing machine with lots of neat tips and tricks. I'm also looking forward to taking The Hand-Painted Cake Course! I look forward to learning how to make edible works of art to show off to my family and friends. My daughters' birthdays are coming up and I would LOVE to make a one of a kind cake for my precious girls! Take a look at all of the other free Craftsy mini-courses that are available! When it comes to supplements, I'm no genius. I've taken them in the past but never stuck to anything. When I got the opportunity to try out Everest Nutrition Krill Oil, I wasn't sure how I would like it... Until I did some research! I learned that not only can krill oil help with my memory and focus but it could also help with my skin condition that likes to try and take over my life... I have psoriasis. Before taking Krill Oil, I had no clue that the Omega-3 that the supplements contain could benefit me and my fiance in more than one way. As with many supplements, gaining all the benefits, comes with continued use. My daughters recently started taking vitamins that contain Omega-3 and they are very excited that mommy and daddy have a supplement to take as well. Healthy behaviors in kids are shown through their parents. If they see us take our vitamins then they will be more likely to want to take theirs on a regular basis and that makes me smile. I'm looking forward to gaining all benefits from the continued use of Everest Nutrition Krill Oil. Make sure you check out what Pea Of Sweetness and Savory Savings have to say about their experiences with Everest Nutrition Krill Oil as well. Below I've added a few benefits that I've learned while researching Krill Oil. I was very surprised at what I was able to find out. The American Heart Association started recommending eating fish at least twice a week due to the effect of Omega-3 on heart health, but many fish are polluted with mercury and other heavy metals which are detrimental to health. Krill oil is less likely to be polluted and has a much higher level of Omega-3 than regular fish oil. Krill Oil greatly enhances the functioning of the brain. Deteriorating of the brain has increased in adults due to dementia. It seems like some even start in their 40's. It's easier to prevent diseases of the brain than to treat them. Mercury, aluminum and other heavy metals have been said to cause several forms of dementia. The brain is 50% fat. It's important to have high-quality Omega-3 fats that are not oxidized. Krill oil contains a special antioxidant that keeps the Omega-3 from being destroyed so you can gain the krill oil benefits. Krill Oil can also improve your heart and cardiovascular system. Omega-3 can help with all diseases of inflammation from arthritis to joint pain to cancer. Another of the krill oil benefits is that this oil can help people with high blood pressure and high cholesterol. This information is not to be construed as medical advice. Consult a physician before using any vitamins or supplements. Win your own bottle of Everest Nutrition Krill Oil supplements through the giveaway below. Their will be 2 winners! Disclosure: I received no compensation for this post other than the free product mentioned above for reviewing purposes. All opinions are my own and was influenced by noone. My opinions may differ from your own. The participating bloggers were not compensated for this post. We are not associated with the company named above. Void where prohibited by law. The odds of winning are based on the number of entries received. To win, you must complete the Entry. Always remember to be cautious when your putting things on your skin, even if it's natural. Some people may be sensitive to the acid in tomato juice. I love going on a search for Natural Remedies! You can find all kinds of different ways to natural cure or help something without putting all those harmful chemicals in/on our bodies. 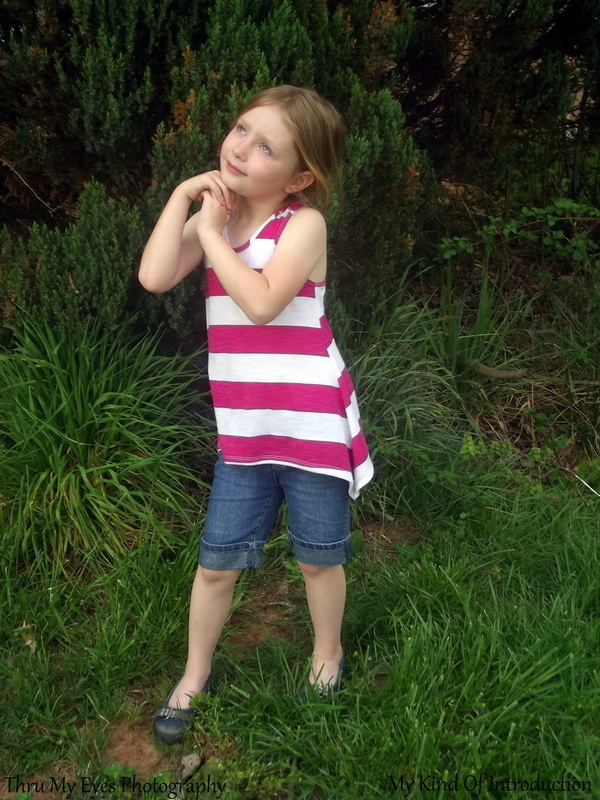 It makes me feel better to know that my daughters' sensitive skin won't be irritated. I don't know about you but I LOVE all those cool products that you see on TV that are only sold from the TV ad, online or from one of the As Seen On TV Stores. I've made a list of my favorite As Seen On TV products. If you would like to find out more about the product or purchase one for yourself, click the banners and you will be taken to just the place you'll want to be. As Seen On TV Banana Giant - Grow Your Own Delicious Bananas. Bananas are the perfect ingredient for cereal, pancakes, muffins and bread. Five times the vitamin A, five times the iron, 3 times the phosphorus and lots of potassium. A Monster of a Mother’s Day Giveaway - Over $3,000 in Giveaways and 23 Winners! 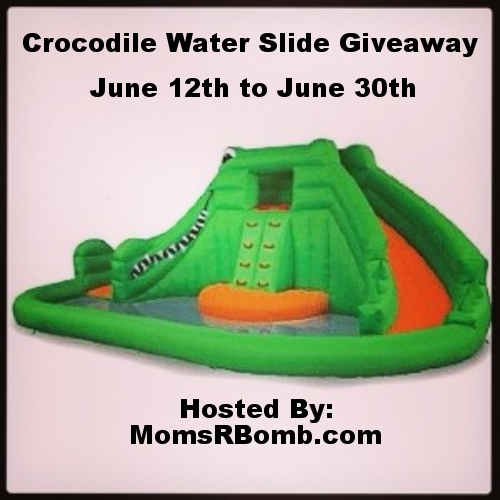 Are you ready for a MONSTERIOUS Mother's Day Giveaway?? with lots of gifts that you all will LOVE! These prizes are WONDERFUL and some of them you won't be able to get through another giveaway anytime soon!! Here are ALL the participating brands and ALL of the details! There will be ONE Winner for each gift! There will be ONE lucky Mommy Guru winner for each item. There are a lot of ways for you to enter and to gain more entries. The participating bloggers were not compensated for this post. We are not associated with any of the companies named above. Void where prohibited by law. The odds of winning are based on the number of entries received. To win, you must fill out the Entry. Welcome to the Skoy Scrub Giveaway! The Skoy Scrub is the latest in concepts to replace the traditional kitchen scrubbie (you know what I am talking about, those funny little green meshy things??) The Skoy Scrub is not only a more attractive option coming in several colors and patterns, but also has more practical uses as well! 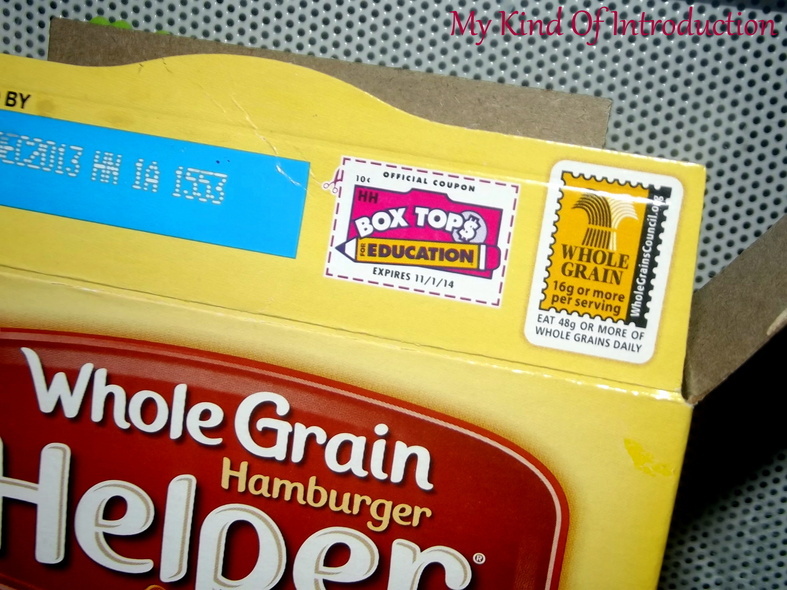 Help your school earn cash and rewards by signing up for Box Tops for Education! 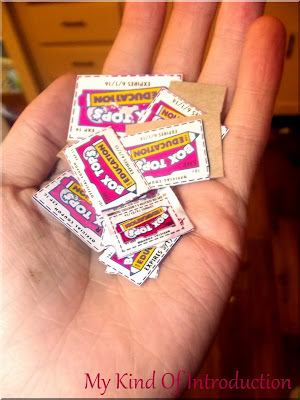 My daughters are all about collecting Box Tops for their school. 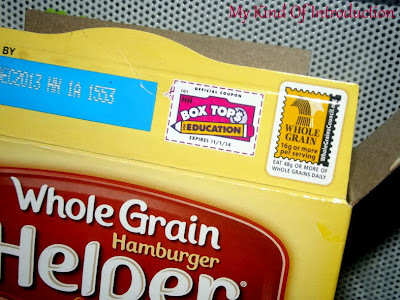 I don't know if the teachers are pushing it or that they are so interested in the Box Tops because I've been collecting them since right before Loran started kindergarten. Every time we go to the grocery store, my daughters always find things with the Box Tops and use those as an excuse to buy the treat. It's funny but I love that Loran and Jade want to help their school. They both know why we save Box Tops and they are NOT happy if they happen to find one in the trash that I didn't catch. 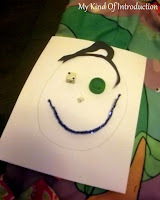 I've had my girls pull boxes out of the trash, find my scissors and bring it all to me, just so I could cut out the Box Top!! Each month I separate our Box Top collection into 2 baggies and put them in Jade and Loran's school folders. Collecting Box Tops is a great way to help out your child's school. You can even earn them online by registering online for FREE! It only tales a few seconds to fill out the small form to start helping your child's school... From Online and Off! My daughters get to use iPads at school sometimes and that's all because of the money the school earned from the Box Tops! Knowing my daughters are getting the best education at a wonderful school, makes me smile! Register your child's school online TODAY!! Saturday morning, my family woke up at 7am and took a trip to Hudson, NC. My fiance is from the Hudson, Hickory, Lenior area. (I know that’s 3 towns but it‘ll about the same area to me) Alan had to work last night so we had to start out trip early… My girls were not real happy. I can’t say that I was either, I’ve never been a morning person. Why did we drive to Hudson from Asheville if we couldn't stay all day? To get a new car!! 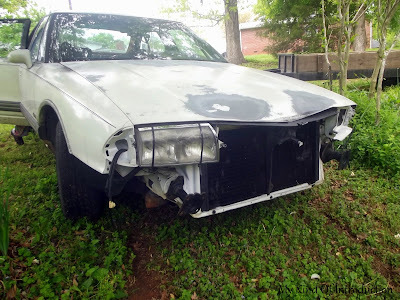 Last Summer, Alan wrecked our car on his way to work and we haven’t been able to get it fixed since it happened. It got banged up pretty bad but it was still driveable. He hit a truck that was carrying Oxygen Tanks and if Alan’s car would of hit just a few inches further back then where he hit, the driver said that the truck would of tipped over and they would of blown up! It’s scary to think about! I’m extremely happy that Alan made it back home safe and the only that that was broken was the car. We haven’t been able to find the parts to get our broken car fixed and inspection is creeping up on us. Since the car original belonged to Alan’s grandfather, he decided to get us a new car. Not because he wanted to help Alan and I out but because he wanted to help our daughters out. He said that the girls are little and they need to be drove around in a safe and legal car. Alan’s family may not of liked me too much when we first got together (that‘s a whole different story on it‘s own) but after 9 years, they like me now and I have to say that Alan has a pretty great family! When Alan’s grandfather took him to get the car, we wasn't sure what kind of car it was. All Alan’s step-dad would tell us was that it was a rice burner lol All we could take from that was that our new car was going to be an import (Not made in America). The girls and I stayed at Grannies when Alan left to go get his new car. He returned back about an hour later in a burgundy Honda Civic! It’s awesome! Good on gas, Small, and looks nice! We are VERY happy with our new car! Alan has wanted a Honda for years and he finally has one! Yay! Our girls are even happy about the new car. Loran kissed the old one Good-Bye and told it that she would miss it… She about cried, it was so sweet! 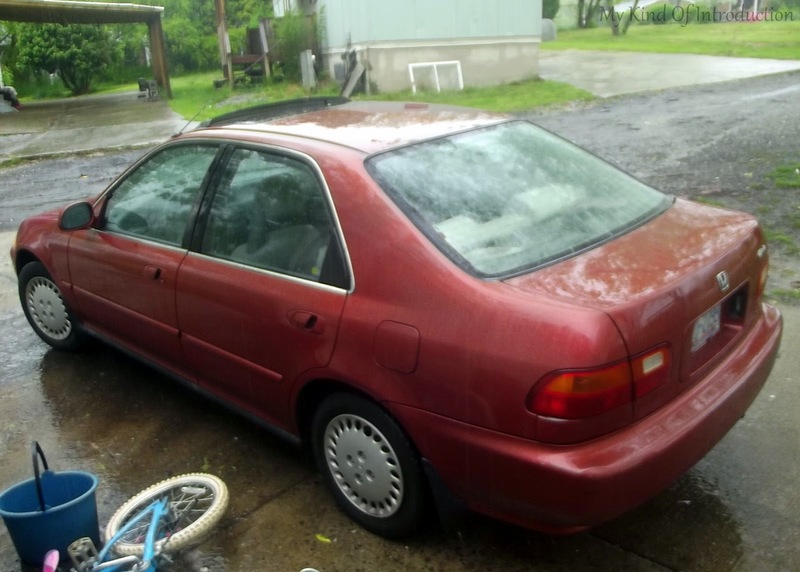 The only thing is that the Honda didn't have a lot of horsepower going up Black Mountain but it rides very smoothly and IT HAS A SUN ROOF!!!!! Have you bought a new car lately or planning on buying one soon? I'm so excited about being able to attend this years Blog Workshop! The speakers are wonderful and I wanted to share them with you. 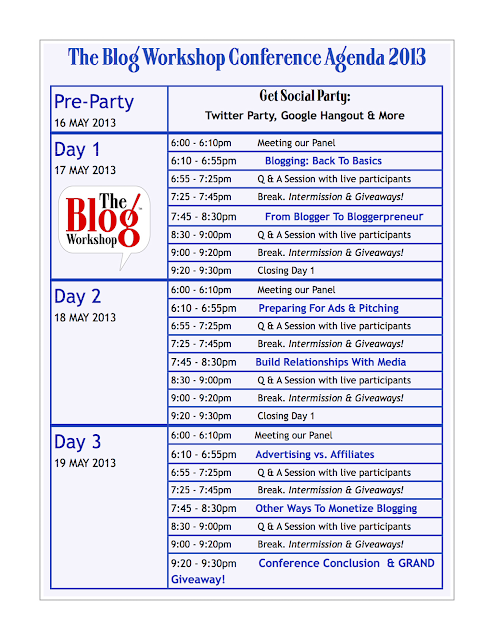 If your interested in attending The Blog Workshop, register now! Tickets are LIMITED. It will be an ONLINE Conference so there will be no need for babysitters, travel expenses etc. The tickets are only $175! REGISTER FAST! Check out this Video Playlist of the Speakers letting us all know what to expect from their presentations. The Schedule is pretty awesome too! I get antsy just thinking about it! 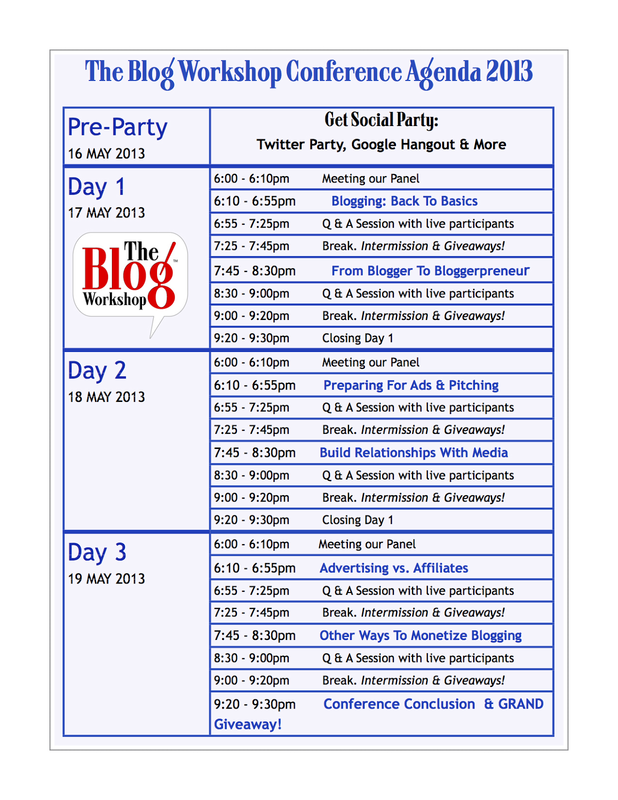 If you would like to learn more about The Blog Workshop, visit their website. What's you first memory as a child? Do you have a funny childhood story you would like to share? It took me a long time to come up with a way to make a toilet... I couldn't figure out how I was going to turn randoms from my house into a toilet! I came up with a Pink Toilet that Jade happy added to her little bathroom. I started by cutting off the bottom of the toothpaste box, making it about 1 1/2 inches tall. I use a hot glue gun to secure the 2 together. I had to add a small piece of cardboard wrapped in duck tape between the lid and box so the lid had room to open. 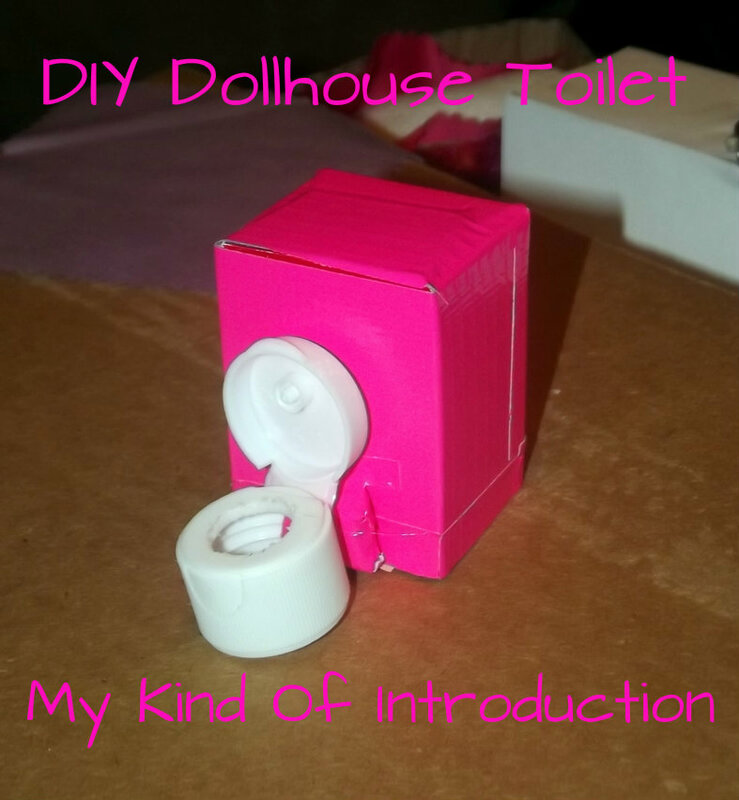 You have a tiny toilet for your child's dollhouse!! I'm very sorry, but it seems that this Blogger opp is no longer available. 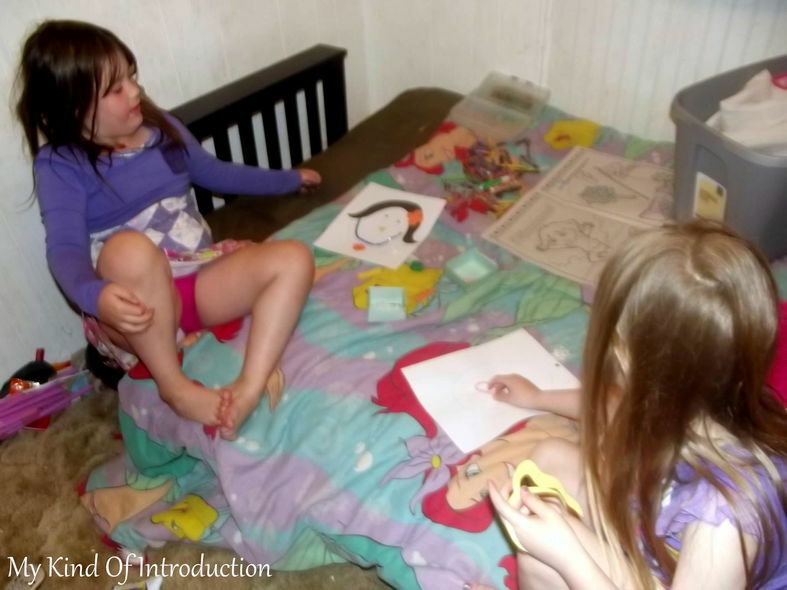 Need to occupy your kids for a few minutes and don't have much time to plan a game or activity? 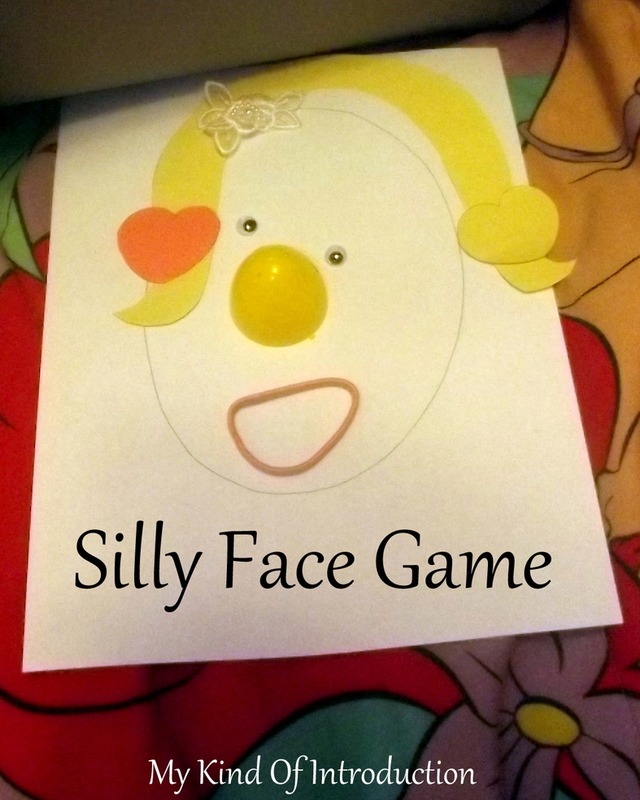 Make a quick Silly Faces Game and let your kids use their imagination to create all kinds of different silly faces! To make the Silly Face Game just simply draw a big oval on a sheet of paper. 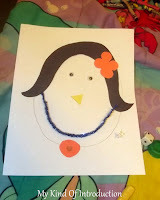 You can use colored paper and make hair, eyes, flowers etc. 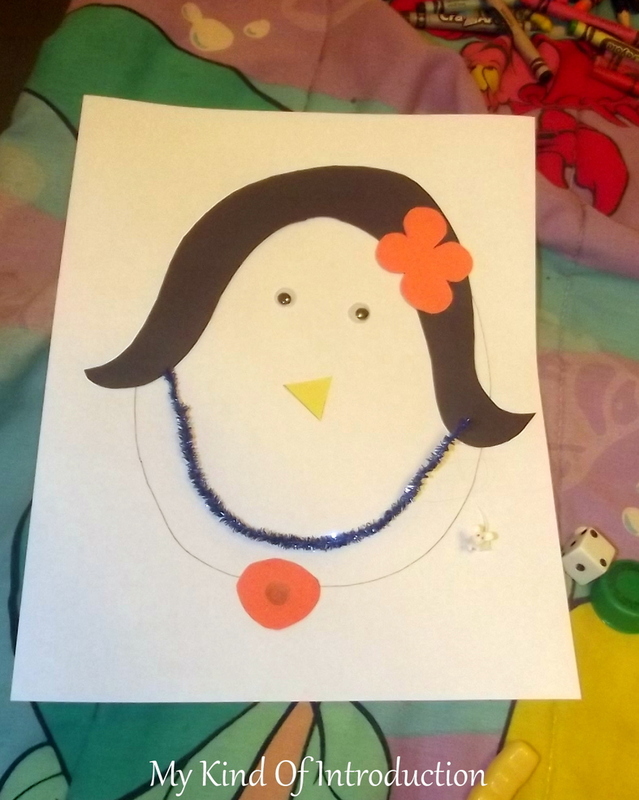 Collect a few odds and ends from your craft bag and from around your house and give them all to your child. It's time to be creative! You'll be surprised at all the silly faces your kiddo's will come up with. Don't be afraid to let them explore your home for other small things to be used for their faces! My daughters sat on their bed and played with their faces for a while! All I heard was giggles through the walls! How many Silly Faces can your kids come up with?? So many people are having babies these days, it's like it's the Baby Boom all over again! 2 out of the 5 pregnant women that I know had their baby boys during the past 2 weeks and I've seen many more facebook notifications and statuses announcing even more new babies that have been brought into the world throughout the past couple days. 2018 Kindergarten Teachers better be ready for some big class sizes!!! 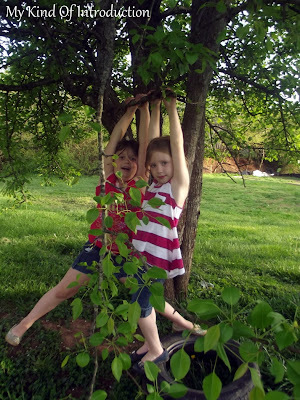 I'm very sad to say that in alittle over a month, my daughters will be 6 and 7 yrs old! No longer babies :( I can't believe it's been over 6 years since I had my first child. Loran was a true blessing to me. I was quiet the party girl when I was younger and I was never into the whole settling down and getting married dream like most girls my age were. (I'm still not interested in the whole marriage ordeal as an adult) I just wanted to have fun and I didn't care who I hurt in the process. I made my way through alot of dust trails in my teen years but I wouldn't change a thing. It all lead to the way my life is today. No, we're not rich and my relationship is no where near perfect but I do believe that I found a wonderful man who I am proud to say is the father of my girls. Our family is happy and that's all that matters. I'd had many family members tell me that getting with Alan was the wrong choice because he was 5 years older than me and already had 2 kids of his own but that didn't matter to me. I fell inlove with those little boys of his just like I fell inlove with their father. It's not like I was with the man for 2 months and got pregnant.... we were together for over a year before I got pregnant with Loran. When I found out I was pregnant, I had just turned 18, had a full time job and had been in a serious relationship for just over a year. Yes, I lived with my mama, my boyfriend did as well. You may not agree with the way we lived or the way I was raised but it worked. I was able to be there for my mama and little brothers and she was able to be there for me. (My step-dad was jealous of my mama and I's relationship so me and him never got along) I went months before I told my mama I was pregnant. She kind of already knew but I would never confirm it. When I finally told her that I was pregnant.... she cried. The only thing she could say was "What are you going to do?" Of course I replied with "I'm going to have a baby!" It didn't take long before she was just as happy as I was that a new baby was going to be added to the family. Once I went to the doctor, I realized that i was 4 months pregnant...... I had turned 18 just 2 months before that... I got pregnant at the age of 17. Yes, that's young but I have to say that kids these days are starting alot earlier than I did and I'm not okay with it... I do have 2 DAUGHTERS! Anyways, I gave birth to Loran on June 12 of 2006. A beautiful baby girl that already looked just like her daddy. Alan and I got our own place and about 3 months later I realized that I was pregnant again! I wasn't as happy about this pregnancy as I was about the first but once I found out i was having another girl, I felt alittle better. As soon as I was able to feel my baby girl move inside my belly..... I was inlove! No one was going to tell me that I wasn't going to be able to raise my daughters. They were my life now and I would risk mine to save them. Jade was born at the end of May... Just 2 weeks before her sisters 1st birthday! My daughters are only 11 months apart... for 2 weeks out of the year my daughters are the same age! They look nothing alike so noone can mistake them as twins but if I get asked about their age during that 2 weeks out of the year.... I get some crazy looks. It's pretty funny and even though my daughters fight OFTEN, they love each other and will never be without a best friend. They support each other and protect each other and that's what makes me smile. 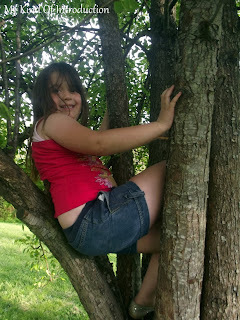 This summer is going to be so bitter sweet when my girls become even bigger girls then they are right now... Age 7 is no longer a baby and I'm not sure how I will feel when the end of May starts getting closer. I GOT TO START PLANNING A PARTY! Are you having a Shaq Attaq? The New Kids Summer Catalog has been released!